Want improved performance and productivity through cloud-based applications? We’ll navigate you to where you need to be. What's a Dream Session? It's an opportunity for you to meet with an experienced VeilSun consultant, discuss your "dream" web app solution, and learn about and see similar solutions. It's not a "demo", it's a collaborative, no pressure "show and tell" personalized specifically to something you are trying to solve. VeilSun is a professional services firm that specializes in developing and integrating cloud-based applications. We’ve helped hundreds of growing companies achieve their business goals through a scalable technology vision. Need to automate business processes, improve your customer experience or have a better line of sight to profitability? Let our consultants introduce “value-based innovation” to you. 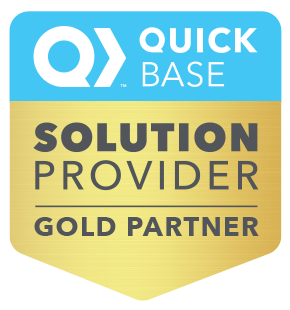 VeilSun is the #1 top reviewed solution provider for QuickBase and our expertise extends to complementary platforms as well. Contact us today to learn more. Katchmark is one of the nation’s largest commercial and residential roofing companies. 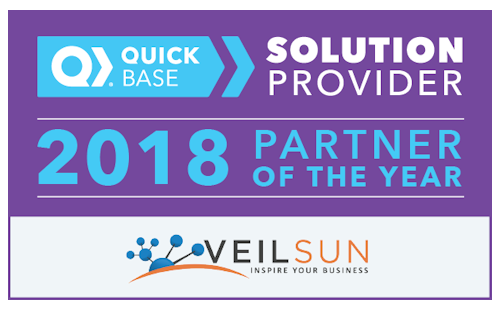 Veilsun helped them consolidate several disparate programs into one cohesive system. Riverbed is the leader in application performance infrastructure. They were looking for a reliable way to onboard new clients and increase visibility into financials and forecasting. Geisinger is one of the nation's largest rural HMOs that provides high quality, affordable health care benefits. They were looking for a reliable system to track compliance issues.